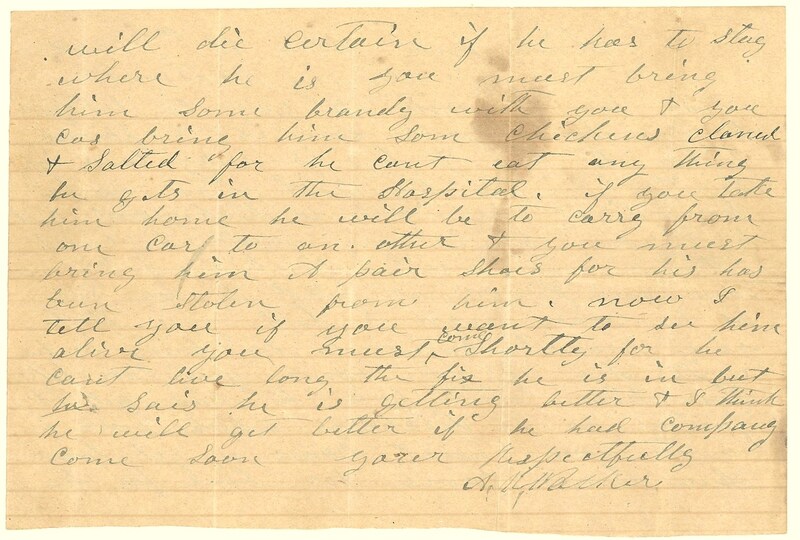 Item Description: Letter of 18 November 1862 from Captain Arthur Walker to the father of William A. Collins, who was wounded at the Battle of Antietam and lay dying at Chimborazo Hospital No. 4 in Richmond, Va. Item Citation: William A. Collins Papers #5095-z, Southern Historical Collection, Wilson Library, University of North Carolina at Chapel Hill. 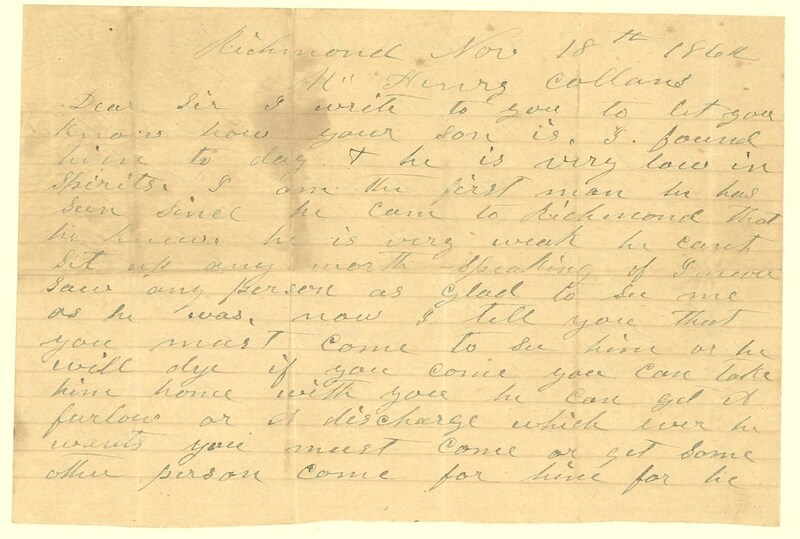 This entry was posted in Southern Historical Collection and tagged Battle of Antietam, Chimborazo, wounded soldiers. Bookmark the permalink.